From being on the news to speaking to the audience at The Gift of Life’s annual galas, Rosie Moore is a highly experienced public and motivational speaker. Her many roles, including her appearances as an author and pageant queen, has shaped Rosie’s spectacular stage presence. 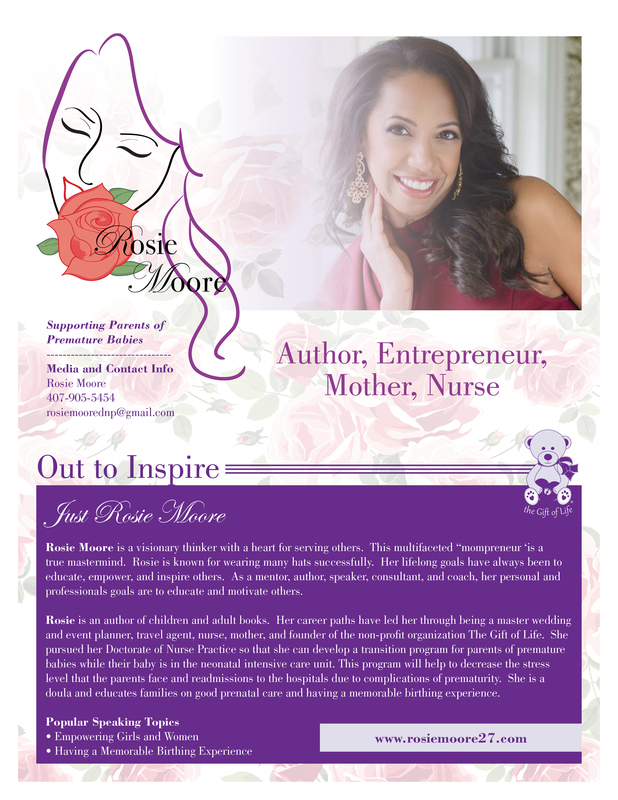 Her story as a preemie mom has shaped her passion. Today, Rosie Moore is eager to be the voice for the families of preemies and women’s health. Get in touch with Rosie and have her speak at your next event.